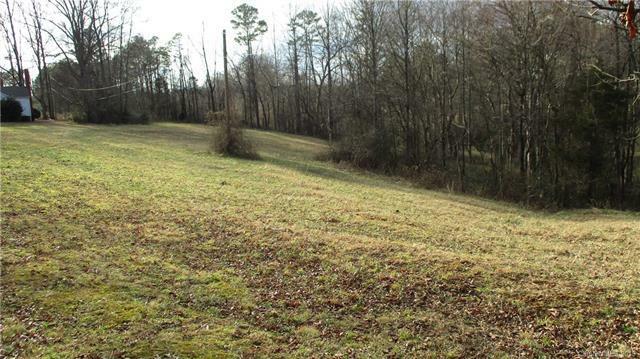 This acreage location is ideal for a private estate, a subdivision, or multiple homes. Located just 6 miles from Statesville, 10 miles from Taylorsville with Hiddenite and Stony Point in between with county water. 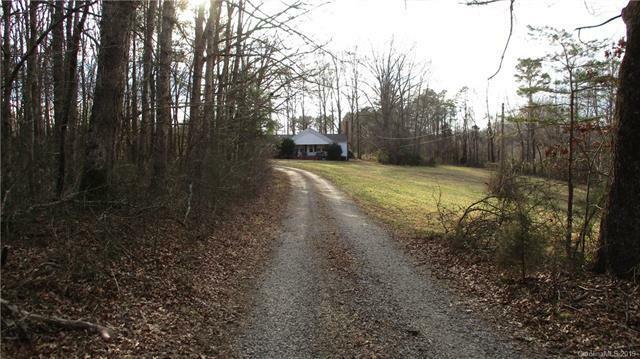 Close to school, post office, and easy access to Interstate highways. 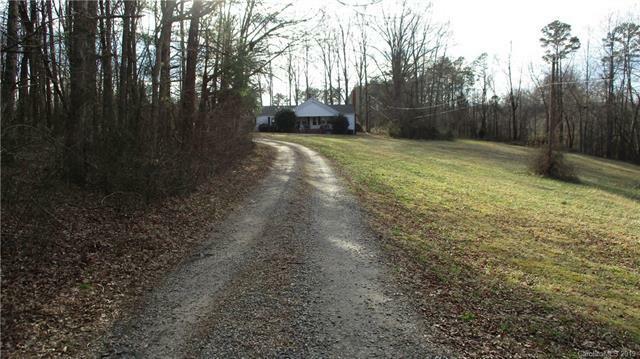 Farm house has 1700 sq feet with open floor plan. No heat/air system, needs updates to electrical system. 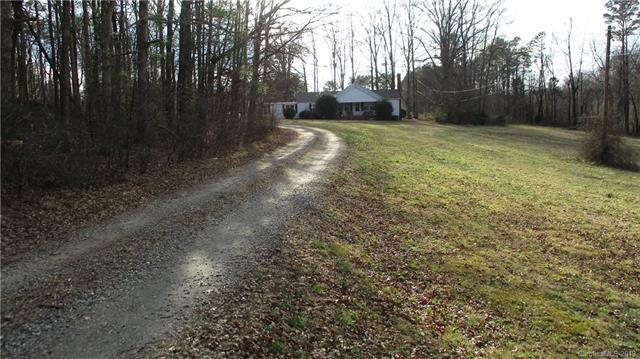 Double garage, neat outbuilding, walk to the back of house. Remodeling took out third bedroom. Pine flooring. Has a lot of potential. Has a lot already there for the family pet. Offered by Bollinger & Associates Real Estate. Copyright 2019 Carolina Multiple Listing Services. All rights reserved. The data relating to real estate on this Web site derive in part from the Carolina Multiple Listing Services, Inc. IDX program. Brokers make an effort to deliver accurate information, but buyers should independently verify any information on which they will rely in a transaction. All properties are subject to prior sale, change or withdrawal. Neither RE/MAX Impact Realty nor any listing broker shall be responsible for any typographical errors, misinformation, or misprints, and they shall be held totally harmless from any damages arising from reliance upon this data. This data is provided exclusively for consumers' personal, non-commercial use and may not be used for any purpose other than to identify prospective properties they may be interested in purchasing. © 2019 Carolina Multiple Listing Services, Inc. Data last updated 2019-04-24T16:59:04.333. © 2019 High Country Association of Realtors MLS. All rights reserved. IDX information is provided exclusively for consumers' personal, non-commercial use and may not be used for any purpose other than to identify prospective properties consumers may be interested in purchasing. Information is deemed reliable but is not guaranteed accurate by the MLS or RE/MAX Impact Realty. Data last updated: 2019-04-24T17:24:20.267. Listing information © 2019 Triad MLS, Inc. of North Carolina. All rights reserved. The data relating to real estate for sale on this web site comes in part from the Internet Data Exchange (IDX) Program of the Triad MLS, Inc. of High Point, NC. Real estate listings held by brokerage firms other than RE/MAX Impact Realty are marked with the Internet Data Exchange logo or the Internet Data Exchange (IDX) thumbnail logo (the TRIAD MLS logo) and detailed information about them includes the name of the listing brokers.IDX information provided is for consumers' personal, non-commercial use and may not be used for any purpose other than to identify prospective properties consumers may be interested in purchasing. Information deemed reliable but not guaranteed. Data last updated 2019-04-24T17:30:40.833.